Your next favorite drawing program may very well be Candy Apple! 128bit Technologies introduces version 1.5 of Candy Apple for Mac OS X, a tasty vector based graphic design and illustration app available on the Mac App Store and the MacAppware website. Also, for a limited time this new version is offered at a special Black Friday price of only $14.99 to new customers, a savings of 50%. Current Candy Apple users can simply update for free through the Updates section of the App Store application on their Mac, or through the Check for Updates option in the Candy Apple menu. Perfect for novice or pros alike, Candy Apple lets anyone create drawings, logos, banners, buttons, icons and more. 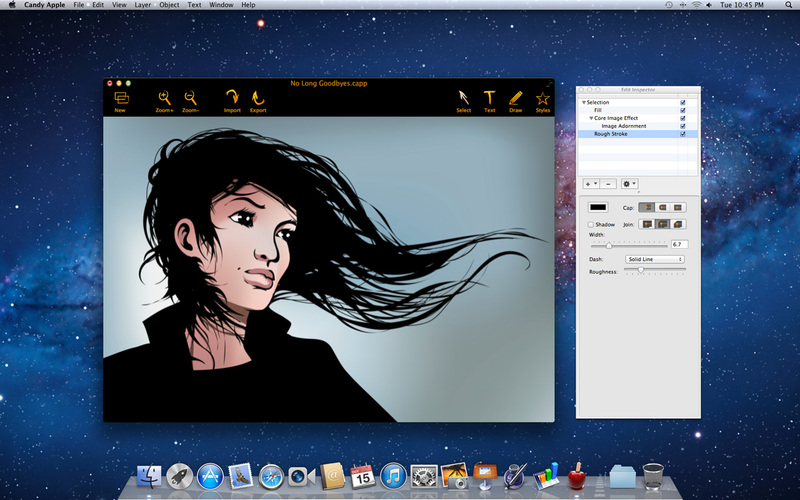 You can also edit and enhance photos, or convert images to draw-able vector paths. Take a bite and treat yourself to a full featured vector drawing application packed with professional tools and dynamic effects that will make every design a polished work of art. Candy Apple is supported on Mac OS X 10.6.8 (Intel, 64-bit) and higher, including Yosemite and is available on both the Mac App Store and the MacAppware website, for a limited time discount of $14.99 (USD), a savings of 50% off the full price of $29.99.